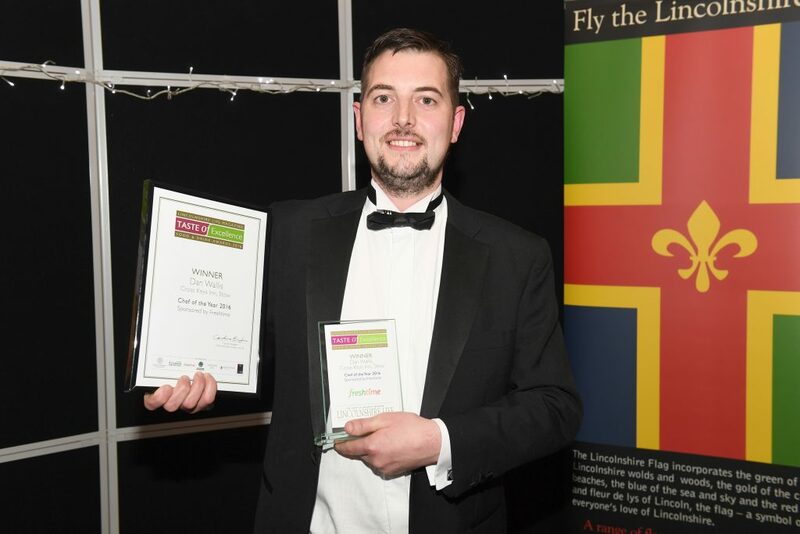 After a close competition between the finest chefs from restaurants across the county, Dan Wallis was declared Chef of the Year at the Lincolnshire Life Taste of Excellence Awards. Boston-based prepared food producer Freshtime UK sponsored the category and Managing Director Mark Newton presented Dan with his award at the ceremony at Oaklands Hall Hotel on Thursday (3rd November). Dan Wallis from The Cross Keys in Stow overcame strong competition from Dean Carroll from The Eden Wine Bar & Restaurant in Grantham, Grant Dawson from the White Hart Hotel in Boston and Lewis Prior from Oaklands Hall Hotel in Laceby. Organised by Lincolnshire Life magazine, the Taste of Excellence Awards are now in their 19th year and aim to raise the profile of the county’s food and drink industry. The four Chef of the Year finalists prepared a three-course dinner for Mark and fellow judges Caroline Bingham, Chief Executive of Lincolnshire Life Magazine, and Dominic Franks from Belleau Kitchen at Lincoln College’s Sessions Restaurant on Monday 24th October. Mark said: “Huge congratulations once again to Dan and to all of the finalists; it definitely wasn’t an easy decision for me and the rest of the judges – there’s a reason why these chefs were shortlisted in this category and they all deserve to be recognised for their outstanding talent. 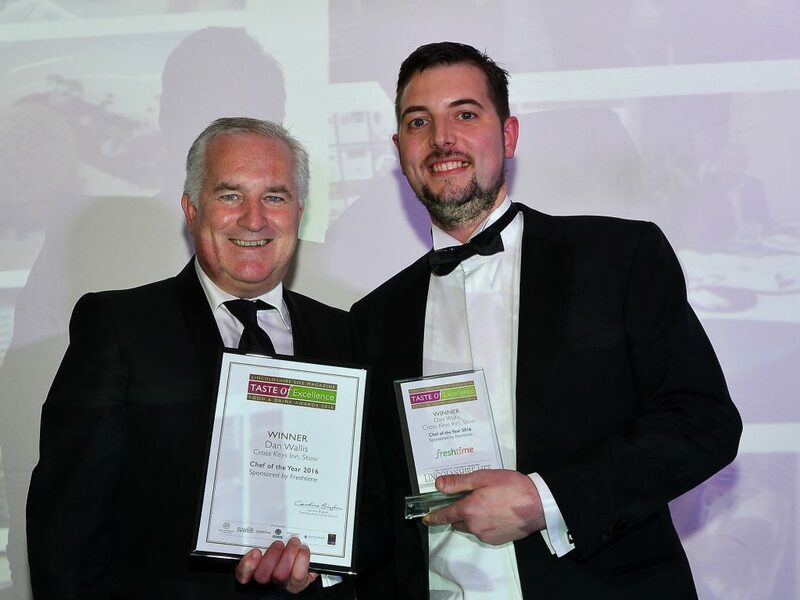 Mark joined 200 guests from the best of the food, drink and hospitality industry in Lincolnshire for the awards ceremony, which concluded a five-month search to identify the winners across 10 categories. Freshtime began sponsoring the Chef of the Year category when it was introduced to the Taste of Excellence Awards in 2015.